hosted at the exhibition by HKS Architects. 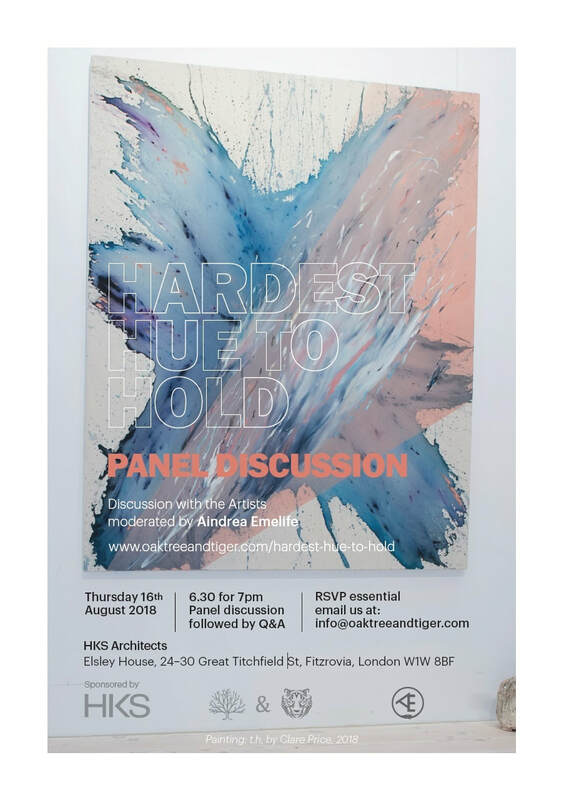 Hardest Hue to Hold, a group exhibition of upcoming emerging artists, by Oaktree & Tiger, curated by Aindrea Emelife and sponsored by HKS Architects. Please RSVP so we can ensure enough seating for guests.